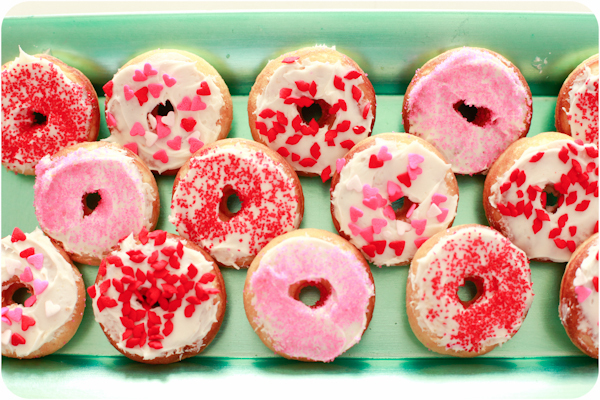 Valentine Party Ideas 2/3: Ruffle Cupcakes, Cake Walk, Fun Drinks, Bobbing for Doughnuts! The first post is HERE that features the proper way to melt chocolate and use them in the Orson Gygi sucker molds. This post too is sponsored by Orson Gygi and oh how we LOVE THEM. There are many more things to share in this fun series so to make it short and sweet, I am going to go through each of the other segments of the party and hopefully you can gain some inspiration….quick and easy inspiration, that’s what we love right?! I had help on this party, the help of my darling neighbors Brittney & Daina, and I am still kicking myself for not taking a picture of the three of us, but boy do we have some of our kiddos, and they are much cuter 😉 so stay tuned. 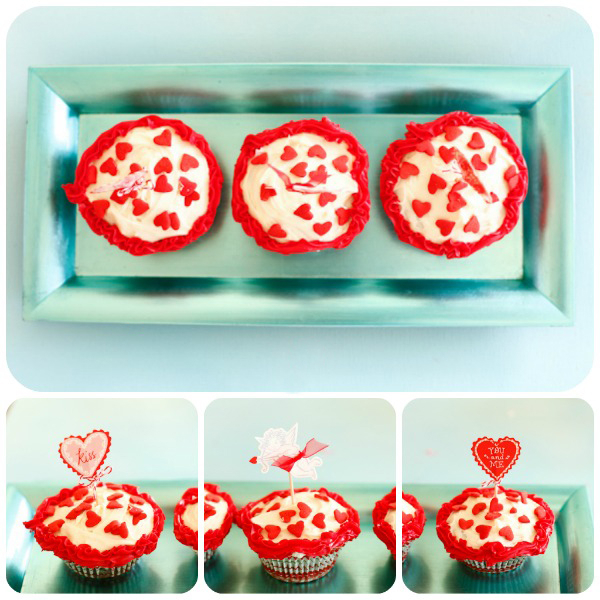 THE JUMBO RED HEART CONFETTI SPRINKLES can be found in the Orson Gygi store or online HERE. I LOVE that they are HUGE! 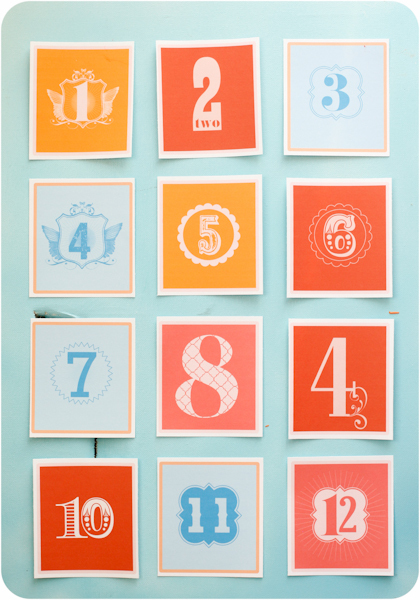 WE DID A CAKE WALK: I designed these numbers with the RHONNA DESIGNS Number Junque Kit and let me tell you, it’s well worth spending the money for brushes that SHE designs. She is a genius and has been one of my VERY FAVORITE designers for a long time. This was simple on Photoshop. 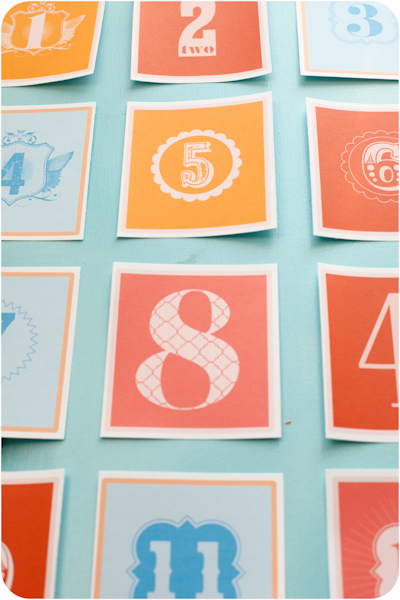 I just created the square background then stamped the numbers on top, it’s pretty much that easy. They had to walk around the room on the numbers and get their number called out to get one of these darling cupcakes. We made them dance to music while they did this, it was HILARIOUS….or course it was LOVE MUSIC and the boys laughed and played it up, so funny. 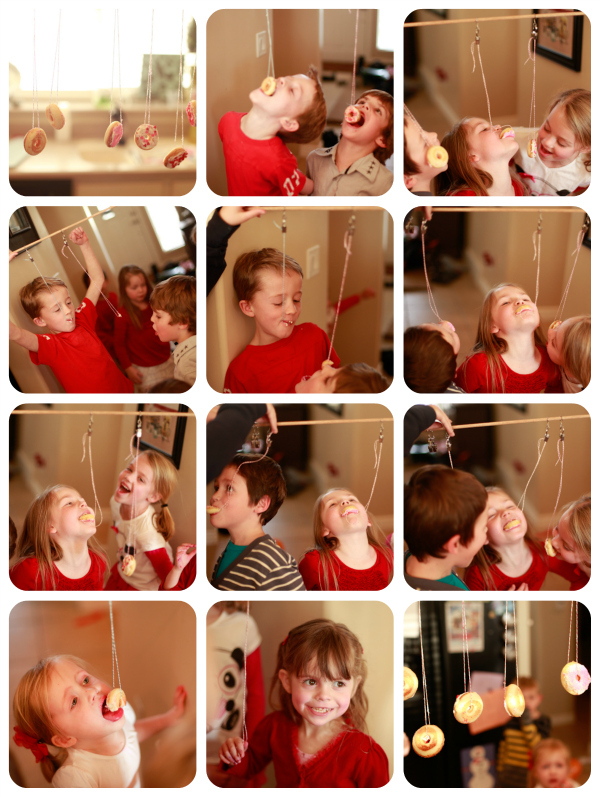 BOBBING for DOUGHNUTS: my darling neighbor Daina made these with her mini doughnut maker. I love how they turned out, and the variety. Daina and I like to have late craft nights, especially around Christmas! Our husbands agreed that we are a bad influence on each other when in comes to crafting…sometimes we get a little carried away…can ya tell! This was our FAVORITE part of the whole party! Stay tuned for part 3….that will be on our site sometime today!!!! Chevron bag Valentines, Vday photo shoot teaser, candy heart garlands and MORE! ORSON GYGI HAS GIVEN OUR AWESOME READERS A COUPON CODE FOR 10% off THROUGH FEBRUARY 17th!! So far this your Valentines Party totally rocks! I love vibrant colors and contrasts. And yes, those confetti sprinkles are super awesome! I guess I will be heading to ‘Gygi’ for some fab party essentials 🙂 And btw, this cute game with doughnuts is going on my daughter’s birthday party ideas list 🙂 Thanks so much and I can’t wait to see more . 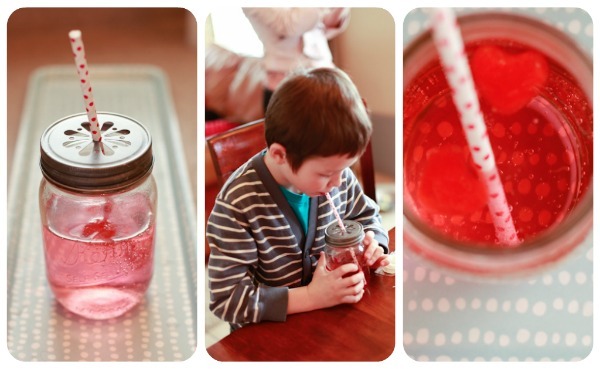 Great party ideas! I love them all!! Where did you get the cut out mason jar lids?? I NEED some! 🙂 Did you find them at the Orson Gygi store?